3. Ke$ha. I kinda hate to admit this publicly but Kesha’s debut album Animal is a total guilty pleasure of mine. I love “Tik Tok,” ’cause you know I can totally relate. I mean I soooo wake up every morning feeling like P. Diddy. 😉 LOL. And songs like “Kiss and Tell” “Blah Blah Blah” “Take it Off” and “Dinosaur” are just classic party jamz!!!! Yeah I like Kesha. I’m gonna own it! 4. Getting over fear. This week I *think* I got over a really big fear in my life. One that my parents drilled into my head thinking it would keep me safe. One that handicapped me for the last 7 years of my life. It took a lot of support from my husband but I finally realized I need to grow up, woman up, and get the F over it. And I think I did. So yay me!!! Sean - IKEA! Ahhh! Lovelovelovethem! Ha! Thrilled you’re at Jasmine’s workshop right now! Keep it up missy! 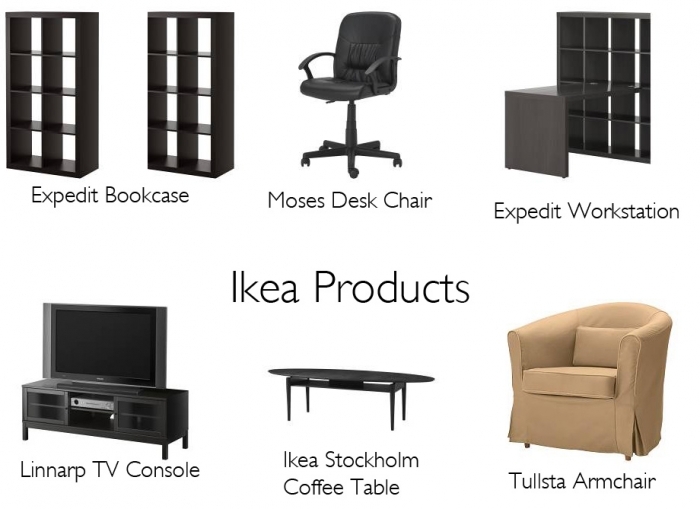 We have almost all of those Ikea pieces in our studio. I love them too! Molly Marie Williams - you are my friend. I love friends.